Wirering is an exercise in reduction: stripped-back to its most essential components, the lamp delivers the most with the least. The object is exclusively composed of two separate elements: a custom made belt-like electric cable and a ring that contains a led strip. The cable and ring are available in different colour combinations. There is a range of three finishes for the cable and five for the ring. 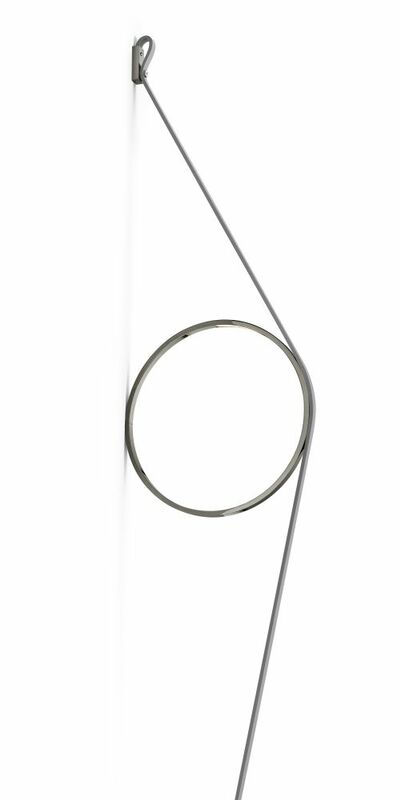 The tangent cable is fixed to the wall with abs joints in the same finish as the ring. Dimming via switch pedal on the cable.